It’s hard to believe Easter is less than a week away. We usually stick to a traditional Easter menu at our house. Ham or lamb. Roasted asparagus. Yeast rolls. Deviled eggs. 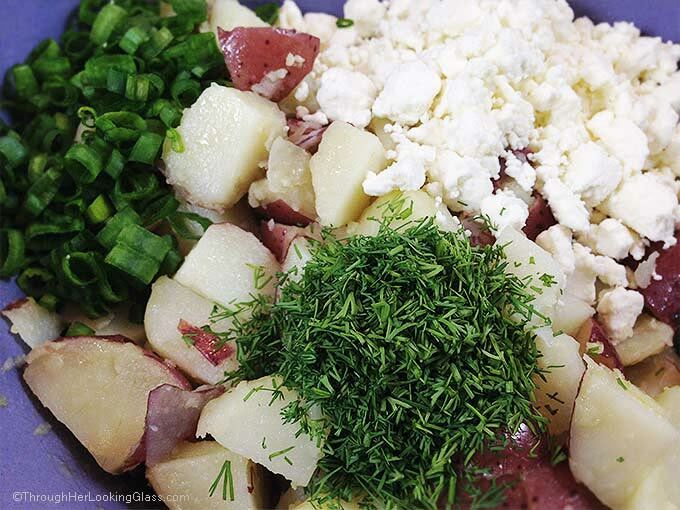 But when it comes to potato salad, I prefer this Fresh Dill Red Potato Salad with Feta over a traditional potato salad with mayonnaise. Fresh and light, the ingredients meld together beautifully and taste best if the flavors mingle for an hour or so before serving. I don’t have many recipes starring red skinned potatoes. They have a great texture in this potato salad and add color because you don’t peel them first. Score! Boil the potatoes on the stovetop ’til tender, then dice while still hot. Toss with olive oil and garlic, then cool to room temperature. Gently stir in feta and scallions, then drizzle with red wine vinegar. Add fresh chopped dill, and season to taste with salt and pepper. 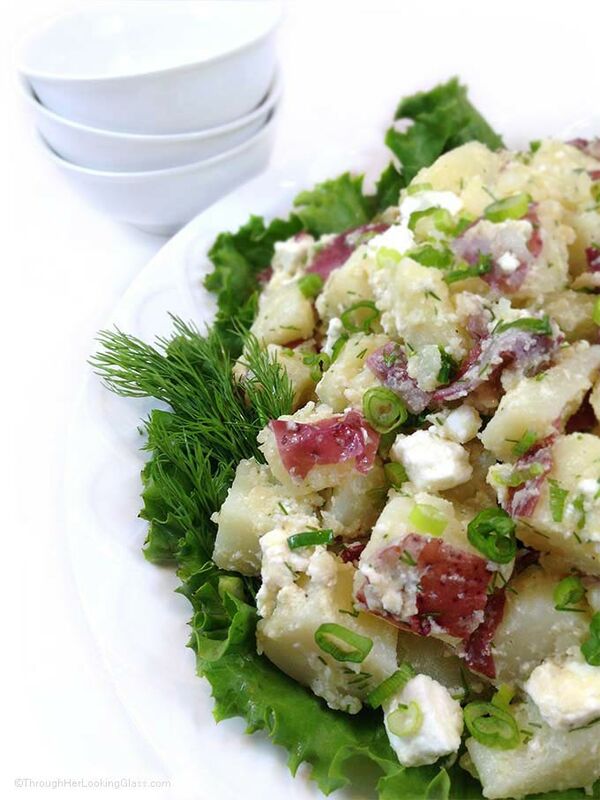 This Fresh Dill Red Potato Salad with Feta travels great for picnics and barbecues in spring and summer! 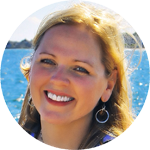 Hope you try this and do let me know how you like it! Scrub potatoes thoroughly under cold water. In medium saucepan, boil on stovetop in lightly salted water until tender, 18-25 minutes, depending on the size of the potatoes. Cool until manageable, then cut into 3/4" dice. In large bowl, toss diced potatoes together with olive oil and garlic. Add feta and scallions to the potatoes and drizzle with vinegar. Add dill and season to taste with salt and pepper. 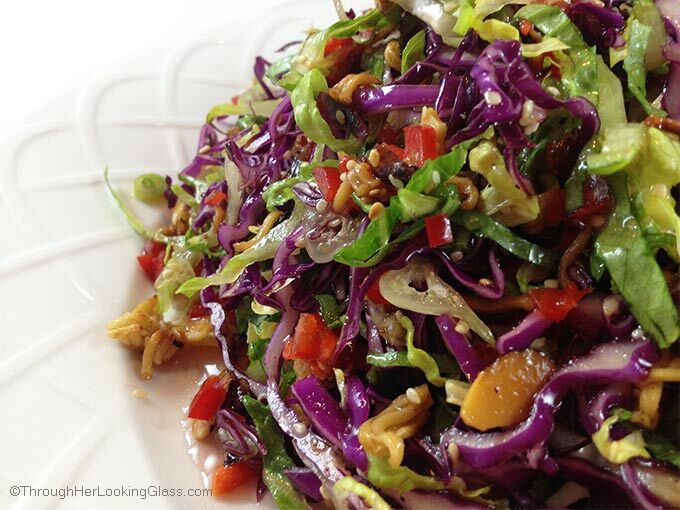 Allow salad to sit for at least an hour for flavors to meld before serving. I can't wait to make this with fresh herbs from the garden! This will be perfect with fresh herbs Tina. I know you're a feta fan, I think you're going to love this. Allie, this is just perfection!! I love EVERYTHING about it. I am not a mayo fan, but dill and feta--and I am in love!! I can not wait to make this. Pinned. 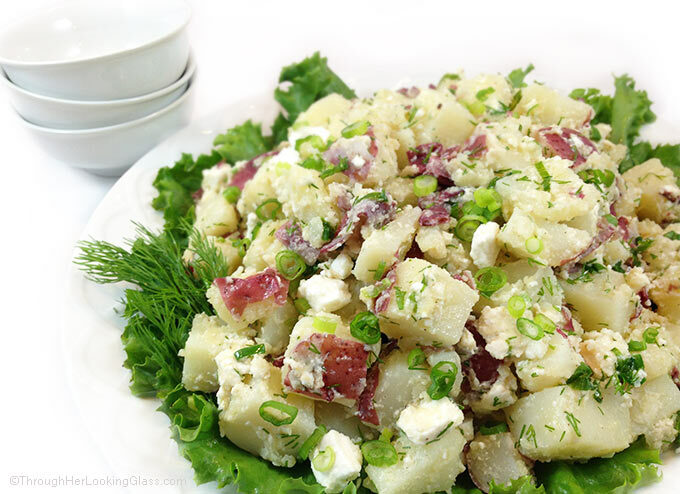 Love dill and potatoes together - this is a nice twist on a traditional mayo potato salad. Love the olive oil addition and feta, too! This is a must. Bring on the summer picnics. This potato salad looks wonderful! I have never thought to add olive oil. That combined with feta and dill ?...... Yum!! I have never been able to make a good potato salad. Probably because I don't add enough mayo. Now I don't have to add any! Can't wait to try this! This is sooo perfect for picnics- no mayo! Love red potatoes and dill! Yummm! Great recipe.... Looks delicious! Now I am thinking about that dill and feta (yummm) and craving this salad! (I also love mayo, but this would be better on a picnic). This will be the perfect potato salad for a simple Easter picnic lunch! You have the best recipes that are doable and delicious! A blessed Easter to your family! Oh thank you so much, hope you enjoy it and have a blessed Easter also!!! These are all my favorite ingredients, and I love the fact that you made a salad out of them. I am always looking for new potato salad recipes, thanks for sharing. I'm so excited to try this! 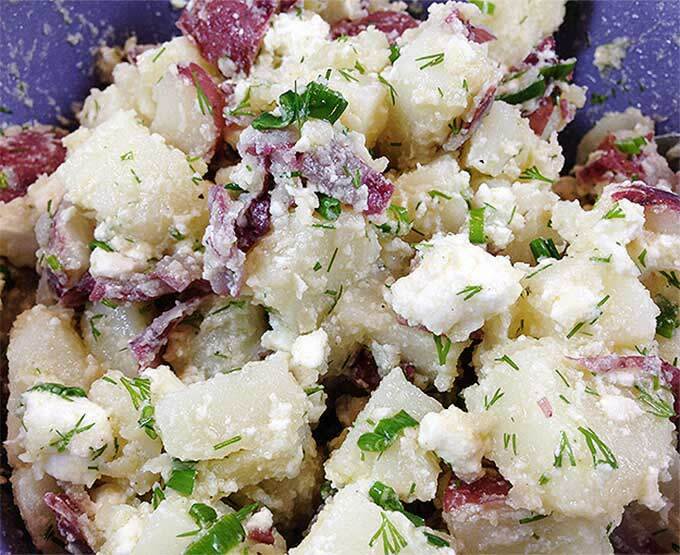 I'm not a fan of mayo so I don't normally like potato salad but I LOVE dill + feta so this is perfect! Pinning to make soon! Allie, this is such a wonderful recipe. I love potato salad but hate the mayo added. The dill and feta combination sounds absolutely wonderful. My hubby never eats potato salad because it always has mayo in it - he will love this one!! Looks great. Could this look any better?! I love the red potatoes. Dill AND feta?! You're speaking my language! Sounds fabulous! I'm with you, I prefer my potato salad mayo free! Such a great potato salad! Love it! You had me at no mayo! I'll be making this. In all your spare time, right? :) I hope you love it Denise, it's packed with flavor! Love this light take on potato salad! So perfect for summer barbecues. Looks tasty! Luci’s Morsels | fashion. food. frivolity. You had me at dill :). LOVING this recipe! And really loving the addition of feta! 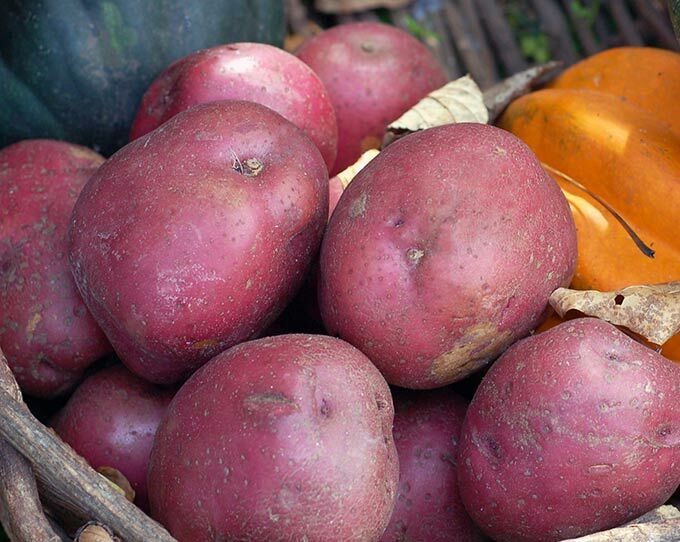 Red potatoes are some of my favorites--'cause, yep, I hate peeling potatoes, haha! This is going on my must-try list, Allie! This looks so yummy. I have dill and feta. Just have to boil the potatoes. It's been WAY too long since I've made potato salad! I love this mayo free recipe! It will be perfect for the holiday weekend!!! I've pinned this Allie, we are having grilled leg of lamb tomorrow and this will be a perfect side. Made this today- I really like the fresh taste & it's not to heavy- perfect summer dish!